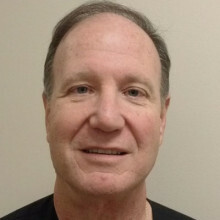 Dr. Stricoff is a board certified General Surgeon. He completed his surgical residency at Brookdale University Hospital Medical Center in New York. During this time at this institution, he served as an assistant to the Chairman of Surgery and helped to manage the Education Program, Level One Trauma Center, and Medical School Education Center. He has over 30 years of experience in all aspects of surgery such as breast, gastrointestinal, hernia and laparoscopic surgery. He is Assistant Clinical Professor of Surgery at Florida Atlantic University and Nova Southeastern University. Dr. Stricoff cares for his patients at the highest level. Experience, communication, and dedication to his chosen field, ensure that his patients are always cared for.